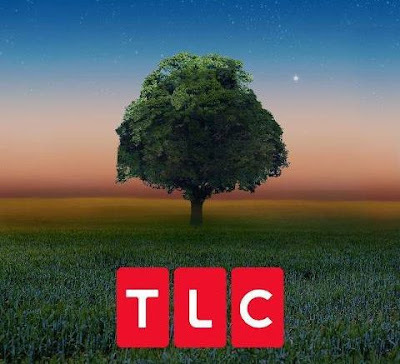 (Los Angeles, CA) – TLC’s Emmy Award-winning series, WHO DO YOU THINK YOU ARE? is celebrating its tenth anniversary with the return of a new season on Monday, May 21st at 9 EDT/MDT/PDT /8 CDT featuring a new group of celebrities who are eager to explore their family roots. This season, six all-new, hour-long episodes will dare to reveal surprising family histories of some the country’s most prominent public figures. With the help of Ancestry.com and historical documents, these stars embark on exciting missions to discover their own heritage. After years of passed down family legends, it is finally time to set the record straight for their families and themselves and uncover the truth behind their ancestry. For some, that may mean tracing back several generations to distinct moments in world history. Hilary Duff traces her family history back to medieval Scotland, discovering royalty in her lineage and an unbelievable tale of bravery. Jean Smart explores the curious tale of how her eight times great-grandmother roped her kids into a crime ring in colonial Massachusetts and then went on to be arrested for witchcraft with a surprising outcome. Jon Cryer travels to Boston and learns that his nine times great-grandfather was an indentured servant who made his way to America under harrowing circumstances. Laverne Cox uncovers new information about the inspiring life of her three times great grandfather who carved out his place in society just a few years after his emancipation from slavery. She begins her journey in Alabama, where she reviews her DNA results and historical documents reveal her ancestor’s tenacity. Megan Mullally chases the dark legacy of her father’s line and uncovers the story of how her two times great-grandmother persevered despite being caught in a cycle of domestic abuse. Molly Shannon travels to Ireland to unravel the mystery of her maternal line, uncovering ancestors who were forced to change their religion in the face of impending starvation before she unexpectedly meets some of her distant cousins along the way. WHO DO YOU THINK YOU ARE? is produced by Shed Media (a division of Warner Bros. Unscripted & Alternative Television) and Lisa Kudrow and Dan Bucatinsky‘s Is Or Isn’t Entertainment for TLC. NOTE: The first episode on 21 May is Jon Cryer.